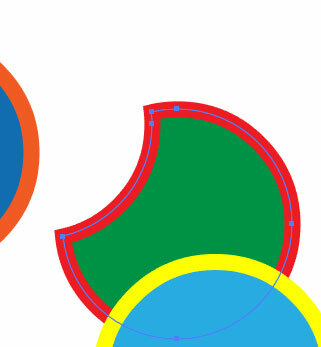 Illustrator's Shape Builder tool will let you combine shapes visually and interactively. This video shows the Mac version, but the tool works the same way in Windows. 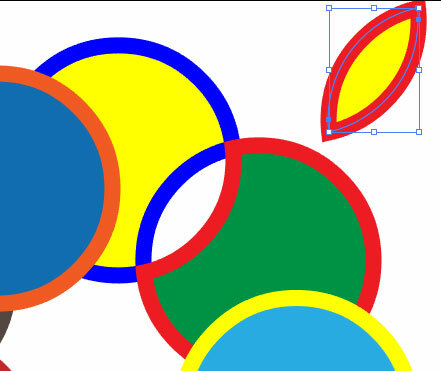 To follow along with this video, you can draw your own shapes or download the file I use: www.flisser.com/classfiles/shape-builder-exercise.zip. Please check out the steps I've listed below. 1. Technique 1: combining two adjacent objects - Select two adjacent objects. Before combining two objects, decide what fill color you want and make that the fill color in the toolbar. One way to do this is to select an object that has a fill and stroke already applied. 2. Click the Shape Builder tool in the toolbar (or press Shift + M). 3. Roll the mouse over the selected objects. Notice the shading, which means the objects are ready to have the tool applied. 4. Drag from the first object to the second object. The objects are now combined, and the fill is the color in the toolbox, and the stroke is the color of the first object’s stroke. 5. Undo (Ctrl + Z in Windows or Command + Z on the Mac). 6. Now drag from the second object to the first object. As before, the objects are now combined, and the fill is the color in the toolbox. But this time, the stroke is the color of the second object’s stroke. So the stroke color of the object you start dragging from becomes the stroke color of the combined object. 1. Technique 2: overlap of two adjacent objects. Again, select two adjacent objects. 2. Roll the mouse pointer onto the overlapping area, and notice just that area is shaded. 3. Click, and that area becomes a new object. 4. Click the Selection tool (or press V). 5. Drag the new shape out of the way so you can see. There is now a hole where it used to be, and the new shape has a single stroke color. 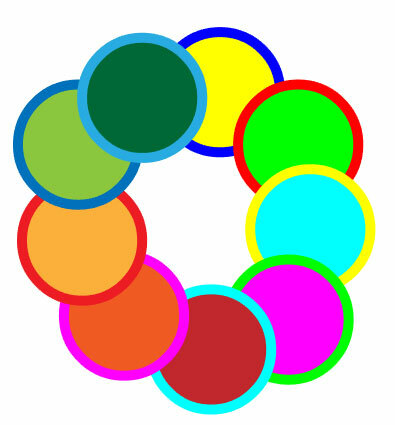 The stroke colors around the hole match the stroke colors of each object. 2. Select the same two objects as before. 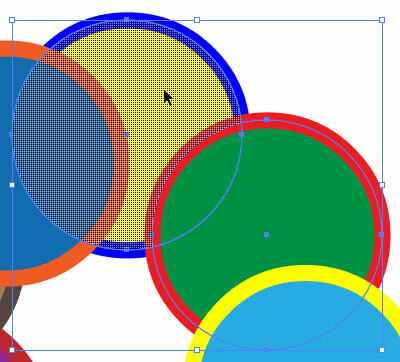 With the Shape Builder tool active, hold the Alt key in Windows or the Option key on the Mac, then drag from the overlapping area into one of the selected shapes. The overlapping area and the shape you dragged onto now disappear. 3. 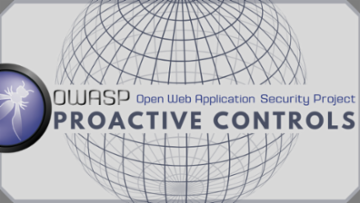 Undo, then Alt + drag or Option + drag from the overlapping area onto the other object. You get a similar result. Video submission is Approved; the steps provided are a great addition to the work done in this video. Thanks for your contributions and efforts, Bob! It’s easy to embed any of your public Prezi presentations on your website or social network to share with others. Learn how simple it is in this tutorial. Learn how to use the remote presentation tool in Prezi to allow you to harness the power of this cloud based presentation platform. You can show your presentation with a remote audience using this free tool. Learn how to download your full Prezi presentation for offline presenting. Prezi doesn’t have to be viewed and shared in a web browser, even with a free account you can download your full presentation to share with others. Be sure to download any videos you have embedded in your presentation in case you don’t have wireless access to load them when presenting offline using this feature. Downloaded (portable) Prezi's cannot be edited. The "Editing and Presenting" version is only available with Prezi Pro memberships. Depending on your presentation's size, it might take a moment to download your presentation. On a PC, unzip the file and start the Prezi.exe file. One a Mac, unzip the file and start the Prezi document. Do not remove files from the .zip folder, as it will break your presentation. In addition to being a great web-based presentation tool, Prezi also makes it easy to save your presentation as a PDF to share with others as well. Learn how in this tutorial. 02. Select "Download as PDF"
Each path you have set in your left navigation will be one page within your PDF, with the first page being an overview of your presentation. 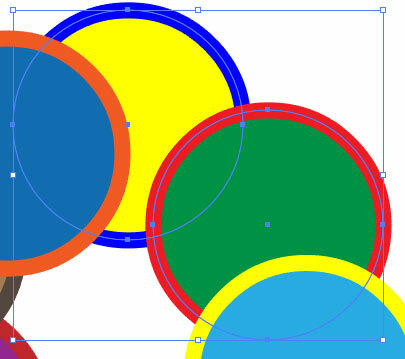 It will take a moment for Prezi to convert each path into a page. Now you can view your Prezi as a PDF and easily share it with anyone you want to. This is within the path toolbar on the left hand navigation. Animations can only be applied to objects that are within a frame already. The object will fade as you hover over it. A number will appear in the green star to indicate the animation has been applied and the order by which it will fade-in. Click the reset button in the top left corner of the animation wizard to remove all animations from the frame. Now when you present your objects will fade-in as you specified. Learn the basics of inputting and editing your text components in Prezi. We will cover how to set styles, position, and group your text components. A flashing cursor informs you that you can begin writing. 02. 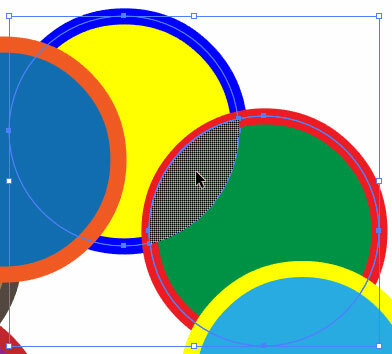 Click and drag the circle in the bottom right corner of your text box to size your text box. Use the toolbar above your text box to increase/decrease text size, change colors, weights, and paragraph justifications. You can also toggle between Title, Subtitle, and Body text (this is set based on your Prezi theme). You can only have one style of text per text box. A toolbar will appear on the right of the screen, full of Prezi themes to choose from. 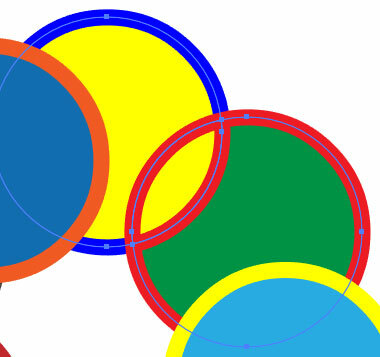 This will allow you to edit the global fonts, sizes, and colors within your Prezi theme. Select the fonts you want to use in your current theme from the drop down menus. This allows you to customize the font and color for your Title, Subtitle, and Body text styles. Click the "X" in the upper right of the Customization right hand toolbar to exit and continue editing. Add visuals to your Prezi to keep your audience engaged. 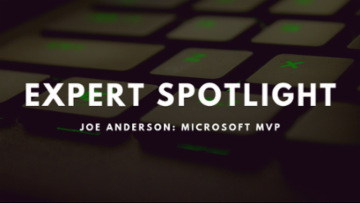 Learn how to embed images, edit them, and more in this video micro tutorial. You can select an image from your computer or search the internet for an image (without having to open a new browser window). Upload multiple images at a time by holding the shift key. 05. Move and manipulate the image with the transformation tool. This tool allows you to easily size it, rotate, and move it within your presentation. Note: You do not need an active Internet connection to maintain your images when presenting. Learn how to create interesting presentations by including videos to keep your audience engaged using Prezi. The video will take a moment to render, and then you will see the default video thumbnail. 05. Move and manipulate the video using the transformation tool. Just like you would with an image in Prezi. 06. Make the video autoplay by putting it in it's own frame to autoplay as part of your presentation. It will show up in your timeline, where you can drag it to be in the desired location in your presentation path. Note: You will need an active Internet connection to play the video when presenting. Learn how to set up basic frames and paths in Prezi and understand the open space that Prezi allows you to create presentations in. HTML5 has deprecated a few of the older ways of showing media as well as offering up a new way to create games and animations. Audio, video, and canvas are just a few of the adjustments made between XHTML and HTML5. As we learned in our last micro tutorial we have successfully put together a basic HTML5 template for use in a webpage or website. Before we move on to any further advanced topics here are a few of the changes that have been made with HTML5 versus the older version which is XHTML. Here is the resource for looking at what HTML5 has had added to it. Here is the link for basic examples on using the canvas tag as shown in the video. This is only for the purposes of showing the canvas in action. canvas when the window loads. Then to fill in the canvas with red to a certain point. 2. Replace the existing content with an audio tag, video tag and canvas tag. These tags are shown in the following steps. Any line that begins with "<!--" is an html comment to document code for future reference. 3. Insert an audio tag. This sets the controls shown, define the source, and sets the error message if we can not support either format. In this Micro Tutorial viewers will learn the basic shortcuts and functions in InDesign. 1. 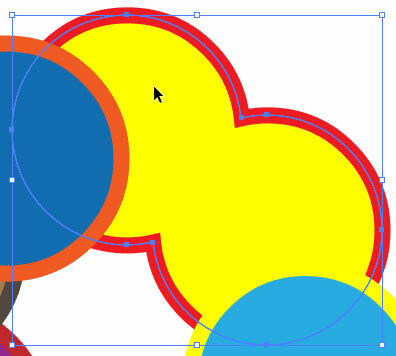 Open a new document in Illustrator. In this tutorial viewers will learn how to select a color range in Photoshop and how to easily apply them to multiple projects. 4. Use the eyedroppers to select colors to be included in the selection. The preview image in the Color Range window shows the areas that will be selected as white. In this tutorial viewers will learn a few layer organization tricks and tips to improve their workflow in Photoshop. 5. To group layers in folders, click the file folder at the bottom bar of the Layers window. Rename the new group the same way you rename a layer.